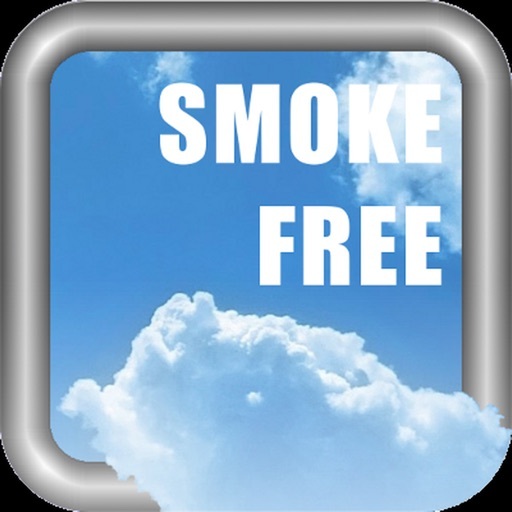 *****Smoke FREE can help you finally quit smoking. 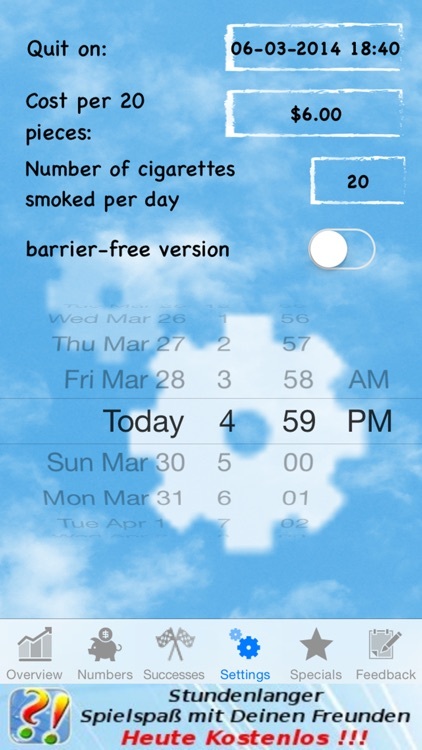 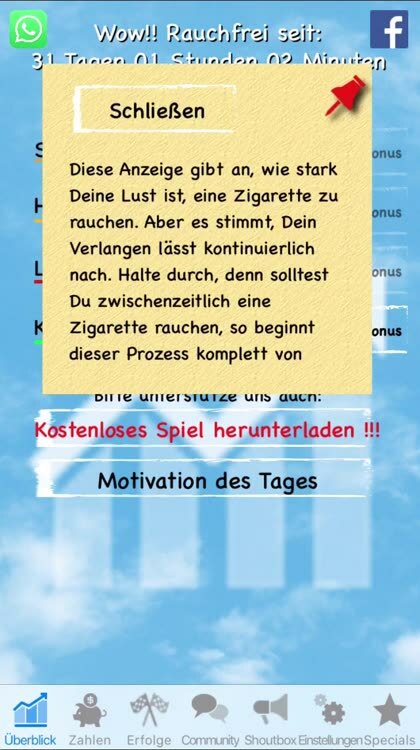 Since I've been smoking for many years myself, I looked for an app that helps me, finally get rid of the addiction. 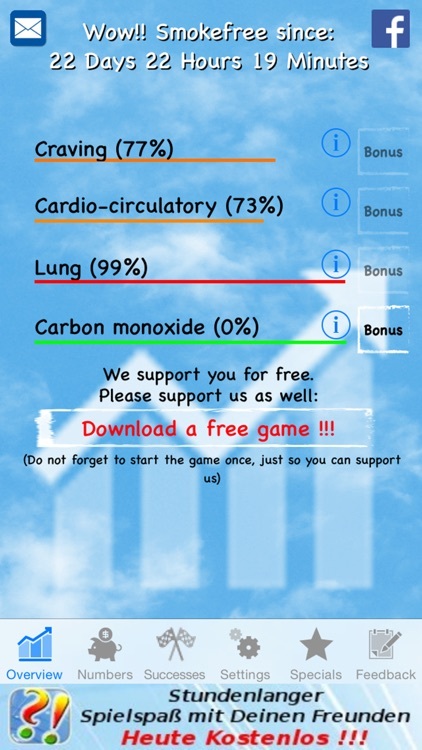 This app shows you, among other things, how high your current addiction is, how regenerates your heart blood circulation and your lungs and how high the carbon monoxide levels in your blood. 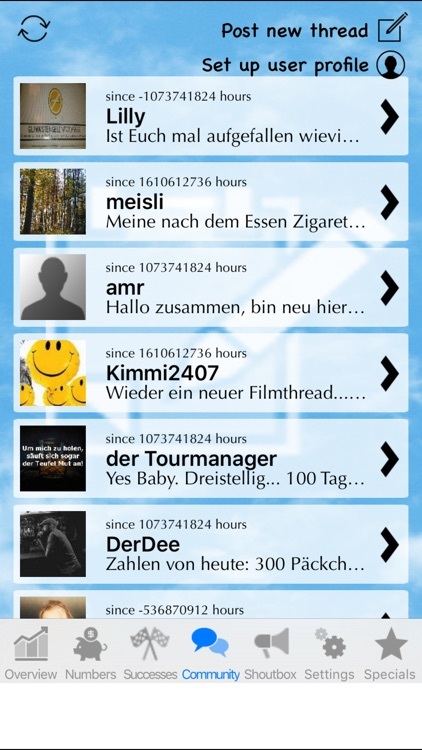 This information is updated every second. 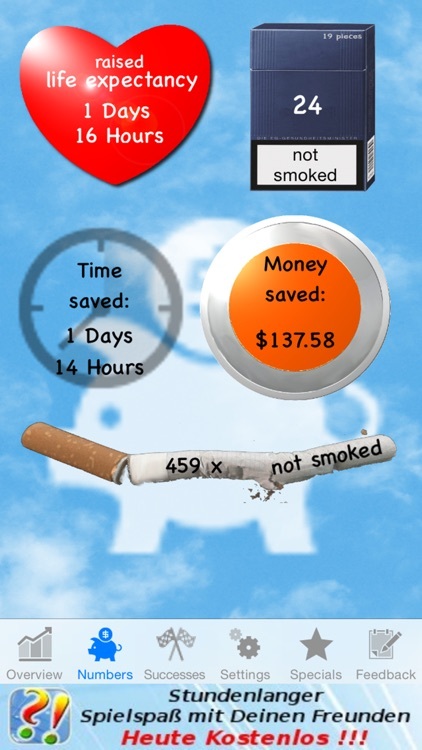 In addition, you can see how much money you have saved in the time of quitting smoking and how your life expectancy has increased. 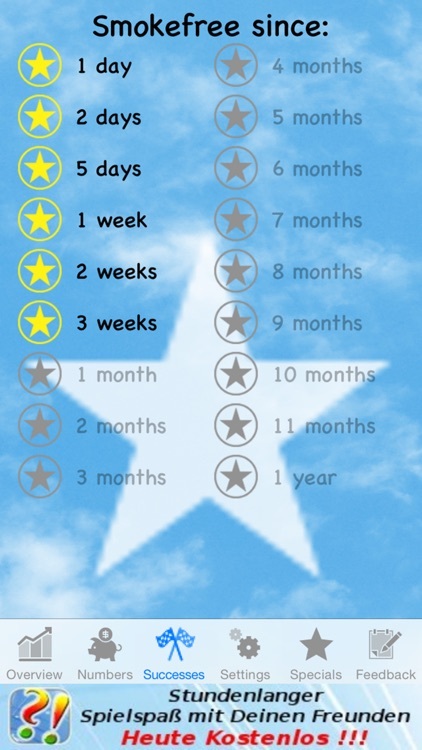 Your successes you can always post on Facebook and on Twitter or send to your friends via email. 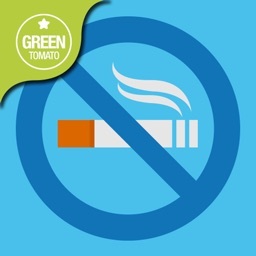 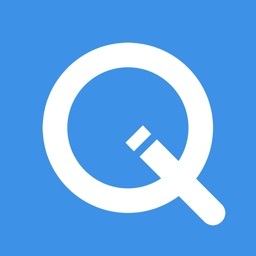 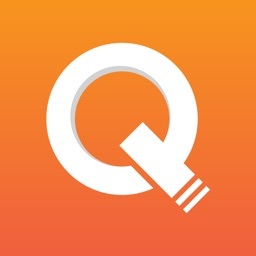 Get this useful app and change your life!